Master chief petty officer is the ninth, and highest, enlisted rate (pay grade E-9) in the U.S. Navy and U.S. Coast Guard, just above senior chief petty officer. Master Chief Petty Officers are addressed as "Master Chief (last name)" and they constitute the top 1.25% of the enlisted members of the maritime forces. Prior to 1958, chief petty officer was the highest enlisted rate in both the U.S. Navy and U.S. Coast Guard. 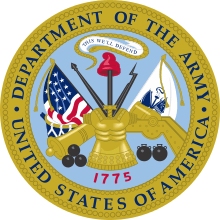 This changed on 20 May 1958 with the passage Public Law 85-422, the Military Pay Act of 1958, which established two new enlisted pay grades of E-8 and E-9 in all five branches of the U.S. Armed Forces. In the U.S. Navy and U.S. Coast Guard, the new E-8 pay grade was titled Senior Chief Petty Officer (SCPO) and the new E-9 pay grade as Master Chief Petty Officer (MCPO), with the first selectees promoting to their respective grades in 1959 and 1960. In the Navy, advancement to master chief petty officer is similar to that of chief petty officer and senior chief petty officer. It carries requirements of time in service, superior evaluation scores, and selection by a board of master chiefs. Similarly, senior chief petty officers and chief petty officers are chosen by selection boards. In the Coast Guard, advancement to master chief petty officer is similar to other advancements consisting of competition with other advancement-eligible senior chief petty officers. Advancement-eligible senior chief petty officers are prioritized based on written examination scores, evaluations, award points, time in service, and time in grade. Master chief petty officers are then selected monthly from this prioritization list as positions become available. Petty officers of all grades possess both a rate (the enlisted term for rank) and rating (job, similar to a military occupational specialty (MOS) in other branches). The full title (most commonly used) is a combination of the two. Thus, a master chief petty officer with the rating of fire controlman would properly be called a master chief fire controlman. Each rating has an official abbreviation, such as FC for fire controlman, FT for fire control technician, and STS for sonar technician, submarines. When combined with the rate abbreviation (CM for master chief), it produces the full rate designation, such as FCCM for master chief fire controlman. It is not uncommon practice to refer to the master chief by this shorthand in all but the most formal correspondence (such as printing and inscription on awards). Mostly, though, they are simply called "Master Chief", regardless of rating. 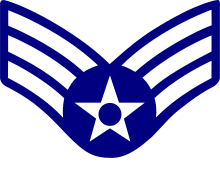 The rate insignia for a master chief is a white eagle with spread wings above three chevrons. The chevrons are topped by a rocker(arc) that goes behind the eagle. 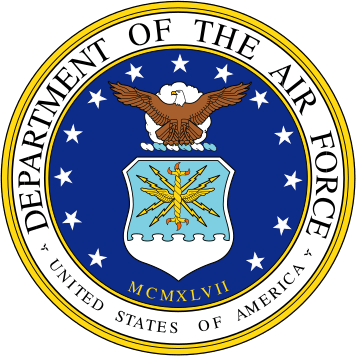 Two inverted silver stars (a reference to the stars used on the sleeves of line officers) are placed above the eagle. 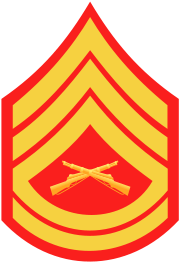 Between the arc and the top chevron is the specialty mark of the enlisted rating. In the picture above, the two crossed anchors is the specialty mark of a boatswain's mate (abbreviated as BM). This is used on the service dress blue, dinner dress blue jacket, and dinner dress white jacket uniforms. On other uniforms, the insignia used for shirt collars and caps is the one that has become universally accepted as the symbol of the chief petty officer. This is a gold foul anchor (note: the proper term is "foul anchor", not "fouled") superimposed with a silver "USN" (Navy) or a silver shield (Coast Guard). As on the rating badge, this is capped by two five-pointed stars, showing one ray down. Master chief petty officers are generally considered to be the technical experts in their fields. They serve at sea and ashore in commands of all sizes. Many master chiefs choose to enter the command master chief petty officer program. If selected, a master chief receives additional leadership training and is assigned to a command as the command master chief (CMDCM). The command master chief is the senior enlisted person at a command and as such works as a liaison between the commanding officer and the enlisted ranks, serving as the senior enlisted leader. In this capacity, the CMDCM assists the commanding officer in issues of quality of life, discipline, training, and morale. On submarines, the CMDCM is called the chief of the boat or "COB". 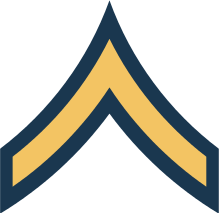 The CMDCM insignia has a silver star in lieu of the enlisted rating between the arc and the top chevron. 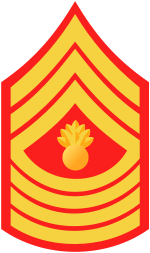 These two ranks are equivalent and their insignia is also the same—a master chief rating badge with two gold stars above the eagle and a gold star for the rating insignia. 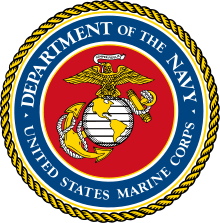 There exists one post, master chief petty officer of the Navy (MCPON, pronounced "mick-ponn"), which is unique. The holder of this post is the most senior enlisted member in the U.S. Navy. 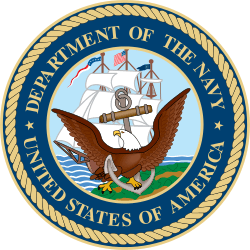 The MCPON adds a third star above the rating insignia described earlier, and all three stars are gold (silver on the gold foul anchor collar device). Likewise, the rating specialty mark is replaced by a gold star. In September 2016, Steven S. Giordano assumed the role of MCPON, replacing Michael D. Stevens. The master chief petty officer of the Coast Guard (MCPOCG) is the most senior enlisted member in the U.S. Coast Guard. The MCPOCG adds a third star above the rating insignia described earlier, and all three stars are gold (silver on the gold foul anchor collar device). Likewise, the rating specialty mark is replaced by a gold shield. 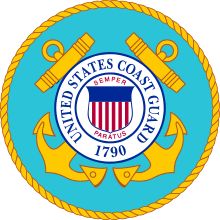 The current master chief petty officer of the Coast Guard is Steven W. Cantrell. In the Halo video game franchise, the protagonist, Master Chief Petty Officer John-117, commonly referred to as "Master Chief" or simply "Chief", derives his nicknames from his rank of master chief petty officer. In the 2014 TV series The Last Ship, the character Russell Jeter (portrayed by Charles Parnell) is the Command Master Chief (CMC) aboard the USS Nathan James and holds the rank of Command Master Chief Petty Officer. In the 2012 TV series Last Resort, the character Joseph Prosser, (portrayed by Robert Patrick) is the Chief of the Boat (COB) of the USS Colorado and holds the rank of master chief petty officer. In the 2000 film Men of Honor, the character Leslie William "Billy" Sunday (portrayed by Robert De Niro) is a U.S. Navy diver with the rank of master chief petty officer. This film is based on real-life events of Carl Brashear, the first black man to be accepted into the salvage divers school; he eventually also earned the rank of master chief himself. In the 1997 film, G.I. Jane, the U.S. Navy SEAL in charge of training the recruits is Command Master Chief John Urgayle, played by Viggo Mortensen. ↑ "10 U.S.C. § 517". law.cornell.edu. Retrieved 2013-07-09. ↑ Walsh, Brian (June 6, 2014). "NNS140605-24. Nineteen RTC CPOs Earn Senior Chief Stars". Navy News Service, US Navy. Retrieved 30 April 2016. This article incorporates text from this source, which is in the public domain. ↑ "OPNAVINST 1306.2G" (PDF). Department of the Navy. Retrieved 9 July 2013.